For anyone who is on the CCLP4 staff - Page 5 - CCLP4 Discussion - CC Zone: The Next Level - Chip's Challenge/Tile World website! Having some version of CCLP4 for each ruleset is enough for me as far as compatibility is concerned. In fact, when i first solved CCLP3 #16 in both rulesets, i expected later levels to continue utilizing ruleset-specific mechanics, and i was disappointed when i found out this isn't the case. Perhaps we can have more of this in CCLP4? Then again, it probably won't matter since almost everyone designs their levels to be indistinguishable between the two rulesets. After seeing some of the differences in gameplay on CCLP2 levels when CCLXP2 was released, I think being more lenient on "inequalities" between rulesets may not be such a bad idea. The main reason we instituted this policy for CCLP3 was to prevent significant differences in difficulty that could affect voters' assessments on those levels, but more minor differences and "forks" like those in CCLP3 #16 could be fun to have in a CCLP, providing designers actually make more levels like that. In the end, I think we can trust whatever calls the staff makes. I don't believe we need to overcomplicate by having separate versions of a CCLP for each ruleset. It was necessary for the originally-MS-only CCLP2, but seeing how many people design for both rulesets these days like you said, I don't think anything more than one version of the set that works in both rulesets is needed. This is meant to be a set generally representative of what the community has to offer, after all. If the community is strongly in favor of an MS- or Lynx-only set, we can always make a separate one for the occasion. - A set that's compatible in MS and Tile World Lynx. - A set with a fairly wide range of difficulty that doesn't quite reach the heights of late CCLP3's difficulty. - A set that doesn't exclude levels without borders. I think we can work with this for now. Why don't we go ahead and just open submissions and see how much we get? Already? I thought we could wait for more people to give their opinion. I'd say submissions shouldn't officially open till the start of 2015. That's my opinion. I was thinking they should wait to officially open until 6 months after CCLP1's release (so late late September), but that wasn't taking into account CCLXP2. In light of that, I'm somewhat inclined to agree, except, what harm does opening submissions earlier have? I think we should wait a bit before opening submissions just to make sure we're not on some sort of "CCLP4 high" at the moment. Take some time for us to simmer down and maybe figure out what to tell people when designing levels without blindly making a "CCLP4 submissions are open!" post. For example, one thing that seems popular is the idea of non-homogeneity, as in levels that aren't all "a little bit of everything" but that have specific twists to them, like in CCLP2 but without invalid tiles. Right now I'd offer late September or October for a submission opening. Don't want to rush it, but don't want to leave it to the point where everyone's just waiting. Sure, we may have "just" released CCLP1, but it takes a few years for submissions to be voted on. If I'm understanding you correctly, I think these sorts of levels were actually much more popular during the CCLP3 era - and it was their saturation of the voting pool that encouraged a lot of difficulty one-upmanship among designers that at least helped lead to what CCLP3 eventually became. Since CCLP1 submissions opened, we seem to have shifted into a new era where concept-based levels and homogeneity combined with unique aesthetics are now much more popular. I think part of this is just the need for simplicity in CCLP1, but the rise of more casual gameplay and CCLP3 difficulty exhaustion have been factors as well, especially since new sets like JoshL5, The Other 100 Tiles, JBLP1, and what's been released of NeverStopGaming exhibit these characteristics. It sounds like many commenting in this thread have suggested waiting to open the submissions, and I understand that. I didn't mean to suggest that we rush anything at all - actually, far from it. My main concern is that since we're no longer making a specific-purpose set like CCLP1, it would be very easy to fall into CCLP3-esque set-wide homogeneity if we aren't careful about keeping an eye on [a] how many levels are in the submission pool and what kinds of levels are in the submission pool. Instead of making a one-time call for levels like we have in the past, the "call for submissions" really should be a much more flexible, changing prompt that takes these two variables into account, starting with what we have on hand. It's kind of like retail inventory management, and it's especially important in light of the amount of levels we already have that couldn't make it into CCLP1 due to its specific purpose. For example, just looking at what sets would most likely be submitted for CCLP4 (some of which are repeats from CCLP1), we really need more easy levels after so many were inducted into a generally easy set. That's really all I was suggesting - [a] being more cognizant of what we're dealing with and encouraging those who are currently designing to design toward what's underrepresented in the submission pool, particularly if their goal is to get something in an official set. For example, just looking at what sets would most likely be submitted for CCLP4 (some of which are repeats from CCLP1), we really need more easy levels after so many were inducted into a generally easy set. The set I've been working on is probably about a half-step up in difficulty from CCLP1 on the whole, and since 1) the levels didn't exist at CCLP1 voting and 2) I wasn't even around the community then, along with some other levelsets, I think that easier levels should be mostly covered. One thing we could encourage is for people to build sets with a difficulty curve in mind, so that we have a wider range of difficulties going into the pool rather than most levels being a "step above CCLP1 difficulty". The biggest issue I will have is not submitting levels I don't think are particularly good. What I mean is, I certainly have made some loser levels (Circle, among others), but it's much more difficult for me to tell which levels the community will like and vote in (ITP anyone?) and those that I think make a better fit (Waterwings for example). If I extrapolate this to other designers (and based on what I've seen it's fair), we will end up with wayyyyyy too many levels again, most of which we've already seen a couple times. So, any ideas on how to a) stimulate level design and b) reduce re-admission of crappy levels? After all, crappy is in the eye of the beholder. And yes, A Puzzle will be submitted for CCLP4. It's all suggestive at that point, I say. For example, I intentionally didn't submit levels that I thought were too hard for what I had in mind for CCLP1 (stuff like "Overlap" or "Dominion"), and it probably bit me in the behind, because some are actually super fitting in late CCLP1, but hey, I respect others and don't only think "Hey, I want 89 levels in the set! Let's submit all my stuff!" As for voting itself, one's idea is not gonna change, just like CCLP3 and CCLP1 voting phases. We all have our general preferences in terms of a single level, and that stood out in the voting. The difference was that we actually did split them levels into categories for CCLP1, which allowed for more variety. And as long as the staff in place keeps doing that, we're safe. I'm going to post this in this thread since whatever eventual CCLP4 staff is created will most likely find this information handy. Incompatibility: possessing a significant difference in difficulty between the MS and Lynx ruleset, containing a known bust that makes the majority of the level a moot point, being unsolvable in one or both of the two rulesets, or being unplayable in the Lynx ruleset. Ineligibility: appearing in a previous CCLP, being a credits / cypher / blank / dummy / other text level that would be out of place in an official set, being based on a CC1 level, or being disqualified at the designer's request. Not for CCLP1: eliminated by virtue of low fun rating from staff or on the basis of being too difficult for a set targeted at beginners. Of course, how that last category works for CCLP4 would need to be determined by its staff one day: should there be a difficulty ceiling for the set? Should there be a pre-voting elimination of levels that aren't enjoyable to play, are poorly designed by fairly objective standards, or are just plain trivial? No matter the case, there seems to be a higher consistency in quality among the levels in the pool this time around, and I fully expect that the percentage of levels that will appear in voting compared to the total number submitted will be higher for that reason - not to mention that the set's difficulty range will most likely not be nearly as restricted (at least from what most people are expecting). So with that in mind, here's a rundown of how many levels are in the pool or are expected to be in the pool one day before a pre-voting elimination takes place on the basis of the above three categories. BigOto Returns by Trevor Hedges, containing 100 levels. Vitor 10 levels by Victor Tsukamoto, containing 10 levels. MyBest37-Lynx by Ian Wilson, containing 37 levels. BHLS2 by Ben Hornlitz, containing 70 levels. geodave4 by Dave Varberg, containing 44 levels. 60 Minutes by lookatthis, containing 60 levels. Pit of 100 Tiles by ajmiam, containing 100 levels. TS_CCLP4 by Tyler Sontag, containing 88 levels. JBLP1 by John Lewis, containing 149 levels. Extra_Extra by syzygy, containing 31 levels. C1059-1 by Chipster1059, containing 50 levels. This totals 739 levels. Next, let's take a look at the sets that haven't been added to this list at the time of this post but have been submitted for CCLP4, either through a notice specifically stating so or a blanket statement providing permission for use in any future CCLPs. Of course, these could be superseded by future sets, such as those featuring a pared-down version of a set or an amalgamation of multiple sets submitted specifically for CCLP4. Alpha by Victor Tsukamoto, containing 47 levels. Arcade by Victor Tsukamoto, containing 16 levels. ArchieP1 by Archie Pusaka, containing 149 levels. BHLS1 by Ben Hornlitz, containing 149 levels. Chip56 by Henry Potts, containing 56 levels. Chip's Happy Day by Victor Tsukamoto, containing 28 levels. DanielB-Lynx by Daniel Bouwmeester, containing 101 levels. EricS2 by Eric Schmidt, containing 24 levels. History-Places by Ian Wilson, containing 60 levels. JacquesS2 by Jacques Smith, containing 148 levels. JCCLP2 by Josh Lee, containing 149 levels. JRB_CCLP1 by Jonathan Birchall, containing 38 levels. KTNUSA2 by Kevin Stallman, containing 45 levels. Ida4 by Ida Roberthson, which contains 30 levels. JoshuaBoneLP by Joshua Bone, which contains 47 levels. JoshL5 by Josh Lee, which will contain 149 levels. 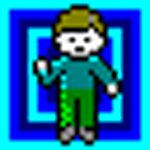 MikeL3 by Mike Lask, containing 85 levels. The Other 100 Tiles by Andrew Menzies, which will contain 100 levels. Ultimate Chip 3 by Jeffrey Bardon, containing 149 levels. Ultimate Chip 4 by Jeffrey Bardon, which will contain 149 levels. This group has at least 709 levels, and there are plenty of other sets that I didn't bother listing from designers who have made "best-of" submission sets in the past and will probably do something similar for this one. So all in all, there are at least 2,458 levels that will most likely appear in the pool so far, with many more to go. To the future CCLP4 staff: you may want to consider putting a cap on this pretty soon, at least for the voters' sake, if not that of the designers who hope to be included in the final product. I can't speak for anyone else, but I was planning on picking through these sets (and UC2, but I don't expect much representation from there) and compiling anything I thought had a chance into one set specifically for submissions. Granted, this just means that instead of 298 it'll probably be around 250...but every level counts, right? -Limiting the number of levels submitted per designer, like 149 levels. A designer might not have the same view of their own levels as others, but they could still be able to pick which levels they would be most happy with ending up in a community set, or enlist the help of others to do so. -Limiting the number of sets submitted by a person. I guess this isn't very different from the previous one and might create extra 'best of sets' but it might weed out something. Yeah, this isn't a useful idea. -Limiting the people who can submit sets. It sounds unfair, but there could be a simple criteria that could be easily met. In practice this could aim to allow the more active and current members of the community would be the ones whose levels would make it into the voting pool. -Limiting the types of levels allowed to be submitted. Quality is a hard thing to judge so we'd have to choose some other more specific criteria. It would be good for the set to have a clear goal in mind, like CCLP1 did. -Limiting the method of how levels are allowed into the submission pool. One way to do this would be to require nominations of individual levels, rather than full sets. There could even be a limit for the number of nominations per person (though this might have some stalling effects due to wanting to see other people's nominations first). Currently, it sounds like I could make a set with 500 levels of varying quality, ask for it to be included for consideration, leave the community, and come back years later to see how the set turned out and which of my levels made it into the set. This doesn't sound efficient or even fair to the people who would put a lot of work into compiling the set. You're absolutely right, Miika. I think your last suggestion is probably the best. It would help pare down the voting pool into something that's reasonable for both the voters and the staff. The staff could set some kind of rule on this, such as two nominations from people who aren't the designer of the level. Plus, this saves the staff a lot of testing work. Rather than comb through every single level in every single submitted set for busts and compatibility issues, the pre-voting testing can be limited to the levels that would actually appear in voting. It would also help quite a bit with respect to levels that do have these issues, as they'd be included on the condition that they'd be fixed by virtue of community nominations, not staff decisions that encompass other eliminated levels. (The blacklist / whitelist / marked-for-blacklisting list system in CCLP1 was a bit confusing for many, I think.) Of course, the one drawback is that there are some sets with quality material that may not be nearly as popular and would not receive near the amount of nominations, though this could easily be remedied by the staff keeping tabs on what's hot and what's not and nudging the community to check out what's neglected. Hmm, I'm not sure if requiring every level to be nominated by 2 others is the best idea, just because of the sheer number of nominations it would require--to get a 149-level set would take 298 nominations! Also, some sets are almost certainly played more than others, and I haven't had time to play most of the recent sets out there. What if the level designers were able to choose a modest number (maybe 50 or even just 25--or lower if you think even that's too much) of their own levels to submit for voting, and more could be nominated by the community using the 2-other-nominations rule? (Perhaps the designers could make recommendations for what the other players should look at, but it'll be the other players' decisions ultimately.) This would seem to cut down the burden of having to play a ton of other people's levels in a short time to give them a fair chance, when they'll have to be played anyway to vote.on them. Also, it would be the "best of both worlds" between promoting designers' levels that they'd like to see in the CCLP, and levels that are loved by the community despite the designers not expecting them to be so well-received. Note: I meant "designers" as "level designers", not the CCLP staff. I think this would be even more reasonable. It addresses the everyone-would-have-to-be-familiar-with-most-everything issue. Plus, having a number like 50 levels for designers to choose from their own submissions would strike a balance: it would force the designers who crank out a lot of content to cull their submissions down to the best (hopefully with some variety in there) while allowing less active designers fair representation. In the past, I haven't been a huge fan of the "everyone-is-entitled-to-a-certain-number-of-levels-in-the-set" approach because there are obviously some designers who are simply more consistent quality-wise and varied in their submissions. But something like this could work for voting under the condition that the community can nominate even more levels from a designer past the 50 (or whatever number we can agree on) as a check against designer bias. I think this would be even more reasonable. It addresses the everyone-would-have-to-be-familiar-with-most-everything issue. Plus, having a number like 50 levels for designers to choose from their own submissions would strike a balance: it would force the designers who crank out a lot of content to cull their submissions down to the best (hopefully with some variety in there) while allowing less active designers fair representation. Though this is true, it's still not a perfect solution. Though yes, I'm aware of the problem because it directly affects me, I'm not the only designer who would be in this position (Josh and Zane have similar amounts of levels available in the pool, though admittedly both already went through the CCLP1 process). The potential "abuse" in the system of nominations is that designers could purposefully leave out levels they know would be nominated from their submission pool. This in turn favors the more well known (and by extension, older) sets. I'm not sure if there's a way to prevent this, unless we started with a nomination phase, then had designers submit 50 (though to me this number feels a bit low, I suppose it would depend on how the nominations go) and then open back up for a final round of nominations if there were any deserving levels that were missed. Another potential change could be 50 or some % of the total number of MS&Lynx compatible levels by the designer, up to a maximum. This is probably more trouble than it's worth to calculate, though. Although it's certainly playing the system, I'm not sure I would call that tactic "abuse" any more than a designer lobbying for some of their levels to be nominated. Also, I'd contend that the older sets would probably not be favored nearly as much even if they are well known, as many have been subjected to previous CCLP voting processes that have, in many cases, pushed their best levels into official sets. The whole point of a method like this would be to make sure that the levels in voting are actually levels that the community would want to see in voting. So, if we're dealing with a designer who cranks out quality material on a fairly consistent basis, then great. There's a good chance that the material is fairly well-known, especially if the designer is that active, and the community can push or be persuaded to push additional levels into voting if need be. But there's also the other side of the coin as well: at the very least, if we're dealing with a designer who submits a thousand levels for CCLP4, and the vast majority of them are more than likely not going to make it into the set by virtue of being mediocre design- or gameplay-wise, at least they can get their 50 or so best in voting without the staff or voters having to worry about rating the remaining 950. This is also the reason why I wouldn't be in favor of a percentage-based system as well. I agree with JB that there should be a limit to the humber of levels a designer can submit. But isn't 50 a little low? Personally, I think 100 would be better. It would be low if the community wasn't allowed to nominate other levels from that designer into voting past the 50, but I don't think anyone is suggesting that. I've gone ahead and started up a spreadsheet where we can keep track of compatibility issues, busts, and other notes for the submitted levels. Since there's no staff in place yet, I figured it wouldn't hurt to make this a community effort for anyone interested in playing through the submissions (or seeing just how much work is involved in being on a CCLP staff ). Additionally, if we do choose as a community to pursue the designer-selects-50-levels-for-voting-and-leaves-the-rest-of-their-submissions-to-community-nominations method, seeing what's actually compatible across rulesets can help narrow down the field for a designer if they don't want to be bothered with fixing everything. The same could apply to a contingency plan in case a designer declines to participate in the selection process or submitted the levels a long time ago and is no longer around: I think the CCLP4 staff should do the selecting in these instances, though I suspect they'd be rare. For now, I've added only the sets from CCLP1 voting that haven't been significantly updated (which means I still have yet to add my own at the time of this post). I've refrained from adding sets from people who have submitted CCLP-specific compilation packs in the past until they specify what they're submitting for CCLP4.